Whether you’re young or old, a Purdue student or a member of the faculty, a life-long resident or a new member of the community, many people will agree… Lafayette is a GREAT place to live! Compared to the rest of the country, Lafayette has enjoyed a cost of living that is 25.3% LOWER than the rest of the country. Furthermore, the public school system spends $6,541 per student, compared to the $6,058 national average. Historically, Lafayette has been competitive in the labor market in terms of unemployment. So if you’re looking for a great place to live and work and to be part of a community that you can be proud of, come to Lafayette! We’d love to have you. June Palms Property Management is a full-service residential property management company based in Lafayette, Indiana serving all of Central and Northern Indiana. We serve a very specific niche of residential properties to include Single Family Homes, Condos, Duplexes, and Apartments in the Lafayette, West Lafayette, Terre Haute, Indianapolis, Fishers, and surrounding areas. Our small size and focused infrastructure makes us much more effective than our larger counterparts. 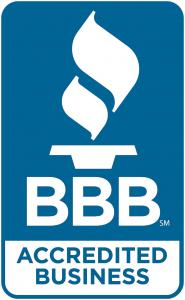 It is this commitment to excellence that has earned June Palms an A+ rating with the Better Business Bureau. © 2019 June Palms. All rights reserved.